Takeaways from a PC playthrough. It's been almost three years since the release of the first 'The Wolf Among Us' episode. After finishing the first episode on the Xbox 360, I resolved that I would only continue the series by making the jump to the PC version. Of course, that was the 360. At the end of 2014, I checked in on Telltale's PS4 work with 'Game of Thrones: A Telltale Games Series - Iron From Ice.' While I enjoyed meeting House Forrestor on the PS4, I decided that I would continue seeking out Telltale Games on the PC, as they been good to me. 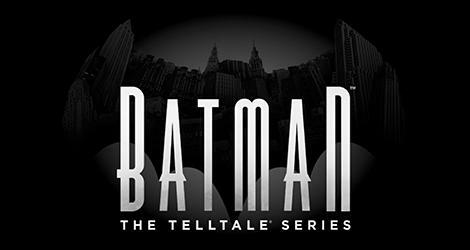 So it's disappointing that the first episode of 'Batman – The Telltale Series,' 'Realm of Shadows,' has been in trouble on the PC. The episode itself is a promising start to the series. (Check out the Xbox One version review here). The PC version has made a lot of noise on account of performance, enough so that Telltale has already issued a patch. (Details here.) Among other things, the patch adds a graphics setting that asks the user to pick between Higher Performance Textures and Higher Quality Textures. Firing up the PC version post-patch, and I was greeted by a somewhat messy launch. Before the game starts, a prompt made me choose between Windows 7 and Windows 8+. Being on Windows 10, I went for Windows 8+, and was rewarded with a 1024 x 768 windowed experience. After going through the intro/start screen and dealing with Telltale's online account stuff, I was prompted about making sure I had the latest drivers. Eventually, I was able to go into the settings and bump up the resolution. The game then ran at about 55-60fps with the high performance textures setting at 2560 x 1440 and on a Nvidia GTX 970. Unfortunately, I couldn't even get through the beginning combat tutorial. I was using a Xbox One controller (wireless) and the RT input wasn't recognized and could not be remapped. Try as I might, I didn't have much luck using Xbox One controllers (Lunar White, Elite, and the new Bluetooth model) either wired, wireless, or in one case, using Bluetooth. For wired and wireless, the RT isn't mapped correctly. The Bluetooth connected controller wasn't detected at all. Ultimately, I used a wired 360 controller, and played through the whole episode just fine. I did try running the game on another computer using an Intel HD 530 (in Win 7), and it seemed like the menu could barely run at any resolution. Again, this was post-patch. Hopefully, as I look forward to episodes 2-5, the PC version will stabilize a bit. But until something changes, it appears that 'Batman – The Telltale Series' needs a dedicated video card with at least 1GB of VRAM. And that's just for starters.